James Hantho, BCom'18, and Karina Bland, Sc'18, pitching their venture during the recent Dunin-Deshpande Queen’s Innovation Centre Summer Pitch Competition. Kingston, Ont. 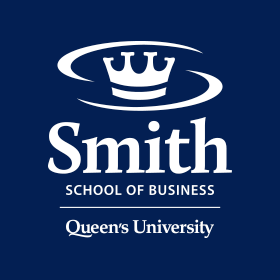 – Queen’s Commerce alumni and students were among five of the eight teams to earn seed funding for their ventures during the recent Dunin-Deshpande Queen’s Innovation Centre Summer Pitch Competition hosted at the Isabel Bader Centre for the Performing Arts. Twenty teams, 15 of which participated in the Queen’s Innovation Centre Summer Initiative (QICSI), pitched their business ideas to a panel of judges from the business community, who could award $5,000–$30,000 to support the future growth of the companies. The team of James Hantho, BCom’18, and Karina Bland, Sc’18, took home the grand prize of $30,000 for their venture ClimaCube, which is developing cold-storage units aimed at extending the quality and shelf life of products such as vaccines. "As soon as we heard the news, we were overcome with feelings of joy, shock, and hope for the next stage of [our] journey," Hantho told the Queen’s Gazette. "What made the night most special was the support and kindness we felt from the QICSI cohort, the DDQIC team, and everyone else that attended the event. This prize gives us the utmost hope that we can bring our vision to life and to truly make a difference." The team behind the small business loyalty program Firefi, which includes Sam Shore and Copeland Lucas, both Comm’20, also took home $5,000, as one of two teams to receive the new Wisdom of the Market Award, determined by audience vote. The second award went to the team from Durabyte.